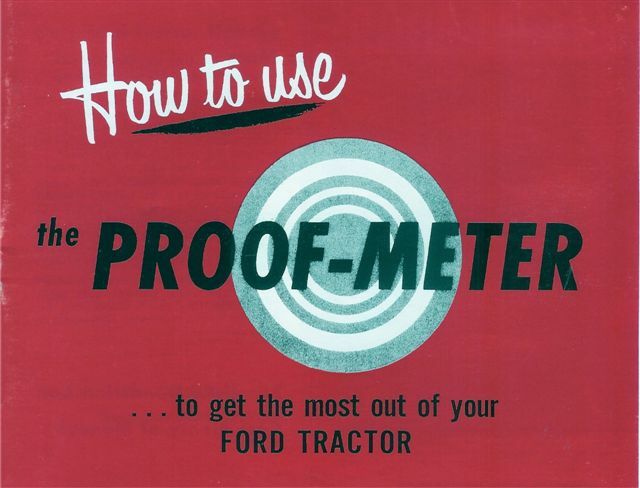 How to use the Proof-Meter, For all models equipped. Get the most out of your engine. 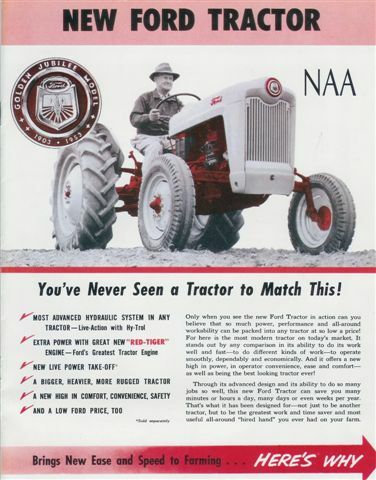 Jubilee Tractor NAA Color Sales Brochure. New Size Ford Color Sales Brochures, All new features on new models. 2000, 3000, 4000, 5000, 6000. 1940 Ford tractor w/Ferguson System. 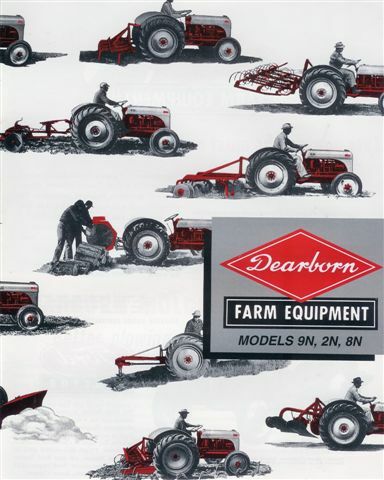 4 fold Ferguson Implement System and Ford tractors. Showing price of Ford tractor in 1940. Nice sales brochure! 1953-62 Accessories Brochure. NAA, 600, 700, 800, 900, 601, 701, 801, 901. Shows implements and accessories with implement model numbers. Very good reference book! 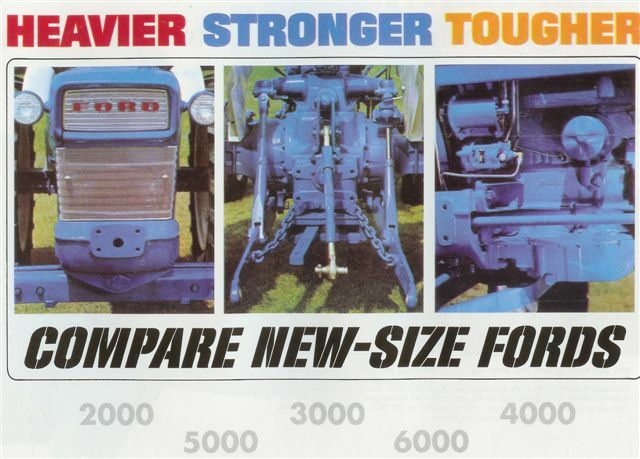 Ferguson Diesel Tractor Sales Brochure. Series 35, 50, 65. 1958 Ford Fordson Power Major Diesel Tractor Sales Brochure, 2 page foldout. 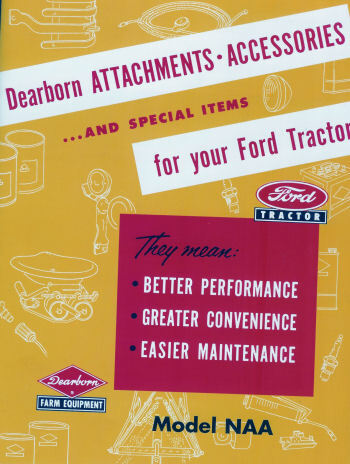 1958-62, Models 821,841, 851, 861, 941, 961 Ford Tractor Diesel Brochure. 8 pages. 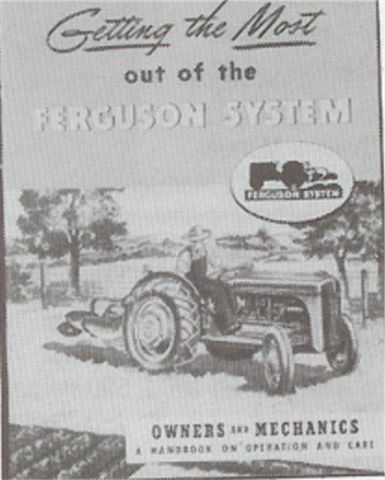 The New Ferguson Tractor "with the one and only Ferguson System" Foldout Brochure. 6 page foldout. 1965-75 Ford Tractor 2-3 Plow 3000 Series. 16 pages. 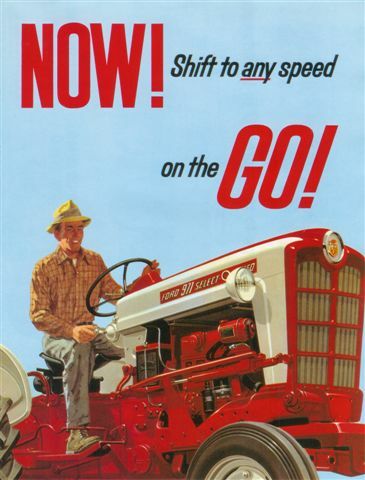 1965-68 Ford Tractor, 2 Plow 2000 Series Sales Brochure. 8 pages. 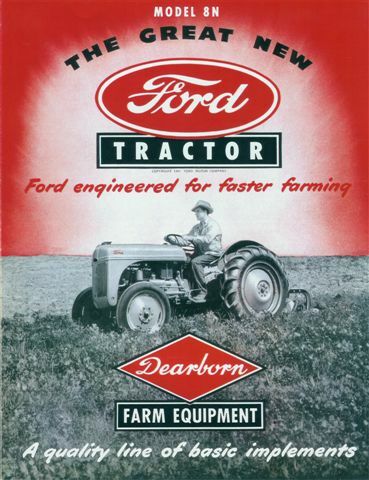 1957-62, 801-901 Ford Tractor 4 Plow Powermaster Sales Brochure. 8 pages. 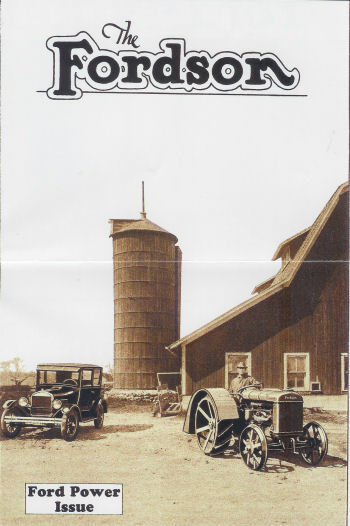 9N, 2N, Ford "Flexible Farming" Sales Brochure. 20 pages. Getting the Most out of The Ferguson System, Owners and Mechanics Handbook. 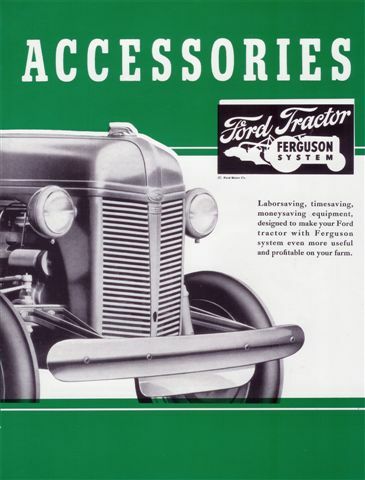 Ford tractor, 1939-1966 parts and accessories brochure. 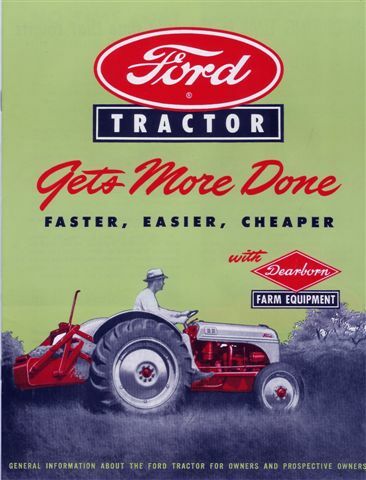 True story of Ford tractor with the Ferguson system.